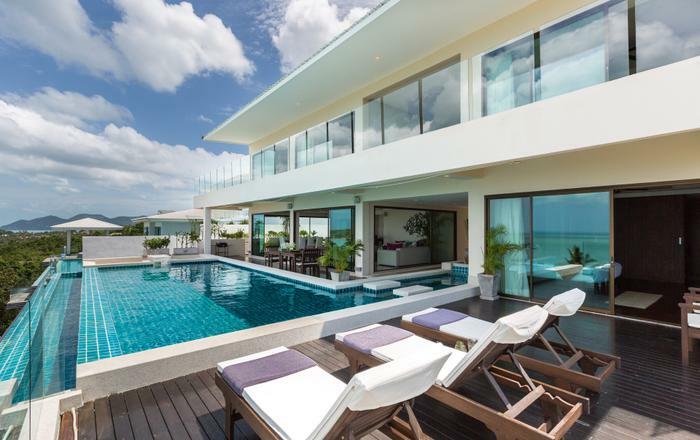 A Beautifully furnished modern contemporary private penthouse villa boasting spectacular sunset vistas over Koh Samui and surrounding islands. 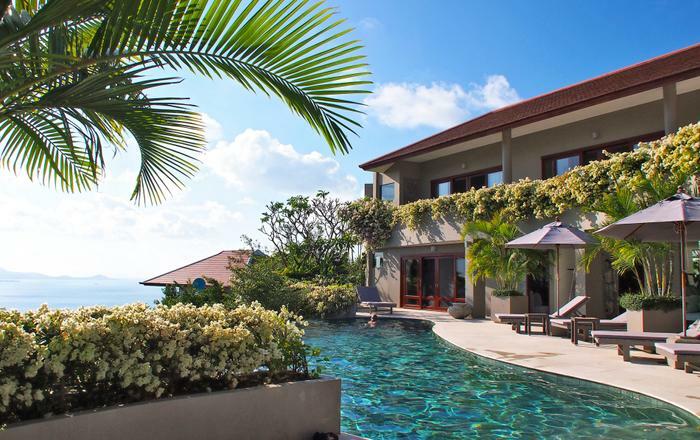 Experience true island luxury living in the middle of nowhere and only 10 minutes from everywhere.With its private pool, contemporary artistic interior design, spacious and comfortable bedrooms and living spaces, Aspara Villa provides the ultimate holiday home time and time again. The large open plan lounge, kitchen and dining area is beautifully furnished with the utmost comfort, elegant design and bespoke décor at its heart. It boasts a wide variety of original paintings, artworks, feature walls and rugs to enhance your high-end experience. The living area has selection of comfortable sofas; space for everyone to gather and watch something together on the flat screen TV. To top it off the room includes ceiling to floor glass doors that truly blur the divisions between the stunning interior and the breath-taking exterior; with uninterrupted sea views. The outdoor spaces provide the optimum opportunities for relaxation; including an outdoor bar area, with bar stools, situated next to a pair of circular sun lounger pods, with comfortable cushioning, throw pillows, and side tables. Creating the ideal place to sit, relax and sip a sun-downer whilst overlooking the swimming pool and the unending ocean views beyond. 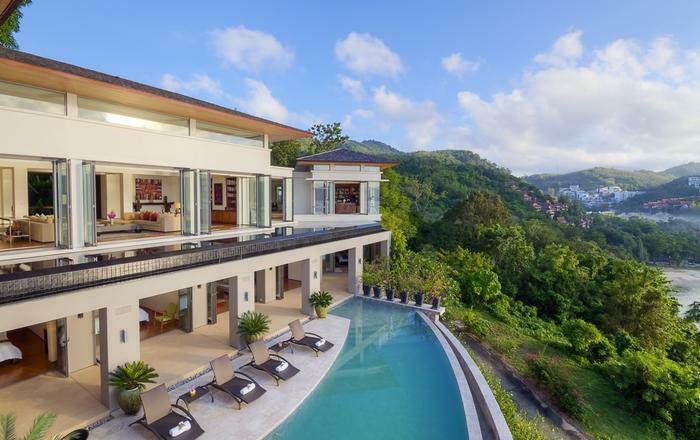 Villa Aspara has a fully kitted kitchen with breakfast bar, however if you don’t fancy cooking you can order the in-villa chef service, and order your favourite mouth-watering dishes from Thai and European cuisine. The villa also boasts a sleek indoor dining area, with stunning vistas, as well as quality alfresco dining at the terrace bar and a BBQ by the pool. 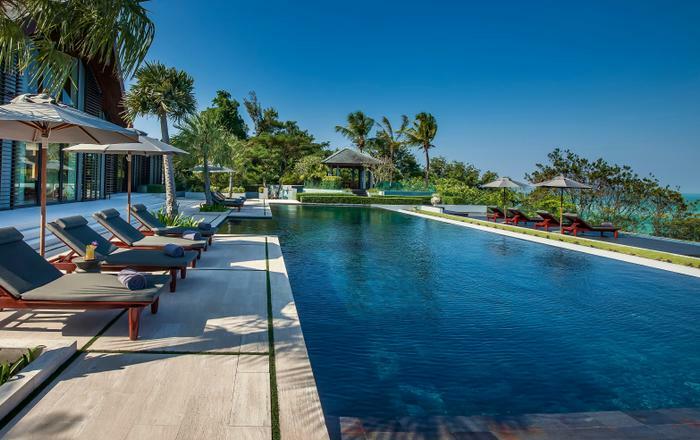 The central focus of the outdoor terrace is your own private infinity pool, complete with seating (for the ultimate relaxation), set to the backdrop of endless breath-taking views that encompass the surrounding islands. The 3 spacious bedrooms each boast luxuriant king size beds, en-suite bathrooms, stunning views and high-end entertainment systems, including flat screen TVs. To truly top it off two of the bedrooms boast their own private terraces, for those more romantic holiday moments. These bedrooms ensure that you get a truly comfortable night’s sleep every night, and that every minute of your stay is unbeatable. 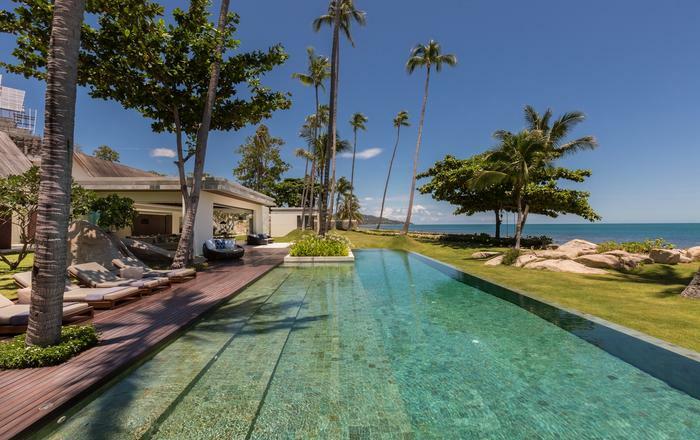 The stunning location of this villa is truly unbeatable; although not far from the main tourist drags, Plai Laem, just past Big Buddha, is often devoid of tourists making it your own private paradise escape. 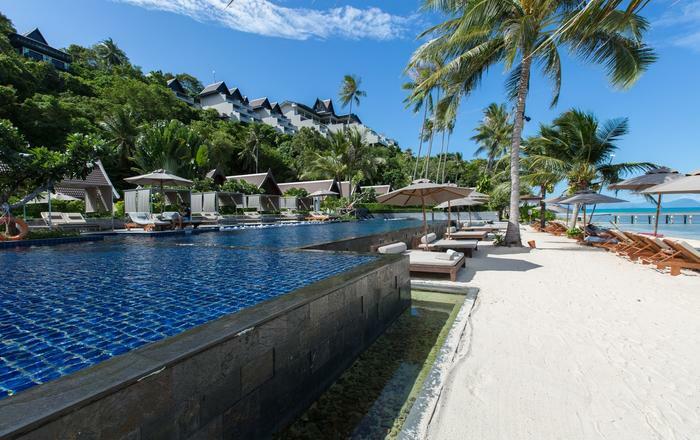 From the villa you can see the islands Koh Som and Koh Phanang to your right whilst capturing Koh Samui's beautiful north eastern coastline heading towards the Angthong national marine park. 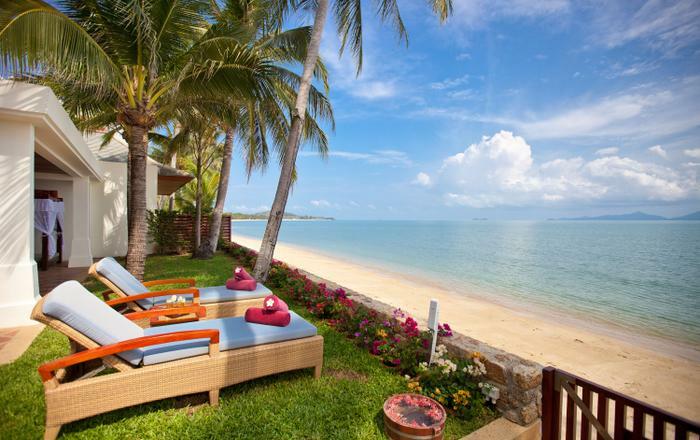 Plus, you’re not far away from Choeng Mon with its stunning beach, intimate coves, and host of shops and restaurants. 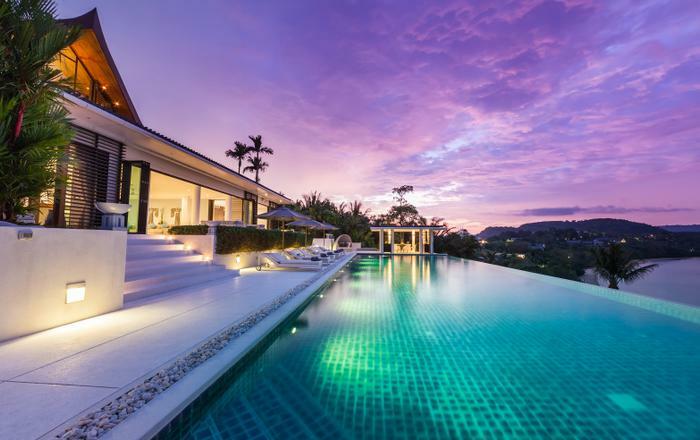 All bookings are made with Villa Apsara ("The Provider"). If it becomes necessary to cancel all or any part of the booking, "The Provider" must be notified in writing (email acceptable). The cancellation will take effect from the day the written confirmation is received. All payments made are forfeited but credited for 9 month from the date of the cancellation confirmation by "The Provider" reservation department. 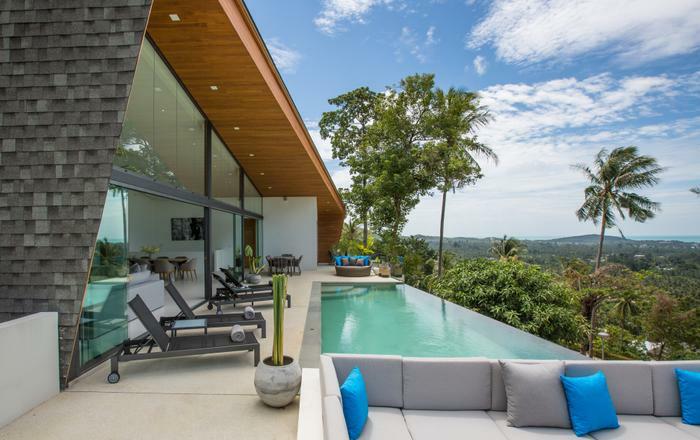 The credit value can be used by the client or anyone on their behalf for any reservation, during any period upon availability and solely for the property. For any cancellation after the deposit and/or balance payment, all payments are forfeited and a full or partial refund is solely applicable in the event that "The Provider" secures another reservation covering partially or fully the initial and cancelled reservation. No credit can be granted on payment made for this period. The above cancellation charges also apply if "The Provider" cancels the booking due to non-payment of the balance. If the dates of the booking require to be changed or amended, this may be treated as a cancellation of the original booking and cancellation charges may apply. Any change to the original reservation is subject to the approval of "The Provider". Early departure penalty will be subject to negotiation with the local Manager.